The search is on for 100 ‘energy champions’ from Northamptonshire to help 20,000 people in their community become more energy efficient and to reduce the cost of their energy bills. Over the next six months, training will be given to people across Northamptonshire in towns including Northampton, Daventry, Corby and Kettering so they can learn how to take control of their energy usage and then share the advice with others in their community. During the free sessions, trainers will show people how they can take simple steps to save money on their energy bills, such as making their homes more energy efficient, dealing with fuel debt problems and understanding how to switch suppliers. Once qualified, the new energy champions will be encouraged to pass on their new knowledge to help other residents also save money on their fuel bills and stay warm in their homes. 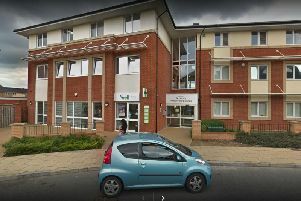 The project is part of the £1.2m Community Action Partnership delivered by fuel poverty charity National Energy Action and British Gas, in partnership with Northamptonshire County Council and Northamptonshire EnergySaver.